Can be used for cleaning AirPods Earphone headphones and more devices. 50 pcs cotton stick( 2 bags). Material: Blend Cotton. Color: White. Easy and simple to use, set any shortcut you want. The Special Edition Factory Unlocked programmable Android Smart Button can be inserted into the headphone socket of any smartphone or tablet. 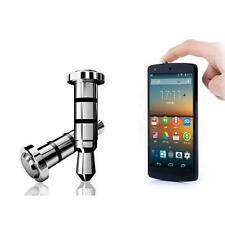 Compatible with most Android 4.0 or above devices. Fit for: SONY WM1A / WM1Z / ZX300 / ZX300A. Designed to protect your headphone jacks from dust, water & mist. Provides the final seal to the well enclosed phone/tablet design. Type: Klick Quick Button Key Dustproof Plug. Package Included:1 X Dustproof Plug. Type: Klick Quick Button Key Dustproof Plug. Package Included:1 X Dustproof Plug. Designed to fit Apple iPhone 5/5S/5C/6/6S/6 Plus/6s Plus/7/7 plus. 10x silicon plug for data cable port(5pcs Black 5pcs White). 10x silicon plug for audio port(5pcs Black 5pcs White). Color:Black,White. Fit for: FiiO M11. Type C hole Dust plug 2, 2.5 Balance hole Dust plug 2, 3.5 Headphone port Dust plug 2, 4.4 Balance hole Dust plug 2. Designed to protect your headphone jacks from dust, water & mist. Provides the final seal to the well enclosed phone/tablet design. Color: random. Designed to protect your headphone jacks from dust, water & mist. Provides the final seal to the well enclosed phone/tablet design. A perfect decoration & protection for your device. Color: random. Designed to protect your headphone jacks from dust, water & mist. Provides the final seal to the well enclosed phone/tablet design. Color: random. A perfect decoration & protection for your device. Fits for: LC duplex transceivers, compatible with SFP, XFP transceiver. 50pcs x Silicone Anti-dust Stopper. Protect the data port of your devices against the dust and rusting. Color: Black. Nice people deserve best service. Trust is one of the most important thing among people. Rate (item arrived). The images are for reference only. If item defective after 3 month, you can still send it back to us. Can be used for cleaning AirPods Earphone headphones and more devices. 100x Cotton Swab. Tool may have dust or appearance minor defect,it does not affect function. Material: Blend Cotton&Wood. Type: Double Head. Dustproof. A key to quick start function even on the lock screen. ①: insert the smartkey into the headset hole. In a word,it is more useful than you can think. Size: 1.6cm. A key to speed up. Fits for: LC duplex transceivers, compatible with SFP, XFP transceiver. 10pcs x Silicone Anti-dust Stopper. Protect the data port of your devices against the dust and rusting. Color: Black. 10pcs x SFP-A Silicone Anti-dust Stopper. Material: Silicone. Protect the data port of your devices against the dust and rusting. Fit for: SFP-A. 100x Cotton Swab. 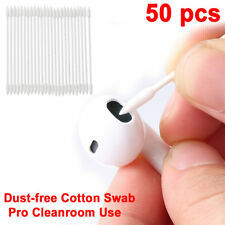 Can be used for cleaning AirPods Earphone headphones and more devices. Tool may have dust or appearance minor defect,it does not affect function. Material: Blend Cotton&Wood. Type: Double Head. Color:As shown in the picture. GBP 1.44 86 sold. Applicable model: 3.5mm. Material: silica gel. GBP 0.99 146 sold. GBP 1.65 79 sold. GBP 2.56 83 sold. Designed to fit Apple iPhone 5/5S/5C/6/6S/6 Plus/6s Plus. Made of high quality durable silicone. 10× silicon plug for data cable port(5pcs Black 5pcs White). 10× silicon plug for audio port(5pcs Black 5pcs White).